This is the oldest available sales data for Australia. Just as World War 2 comes to an end, new cars are not easy – or cheap – to come by and most people are driving around in pre-war vehicle precariously held together. 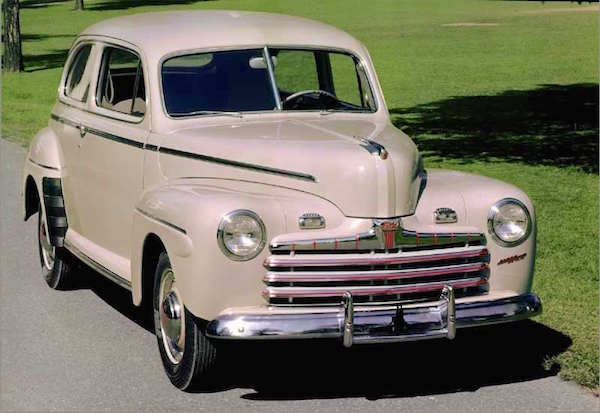 Including the Mercury version, the Ford V8 is the best-selling model in the country and would continue to be so in 1947. The stretched, more powerful Mercury configuration is used by the Police and these flat-head Fords carry a certain amount of middle-class prestige. The Ford V8 distances the Chevrolet and Austin, the latter topping the charts in 1947. Full Year 1946 figures for the Top 3 best-selling models below.